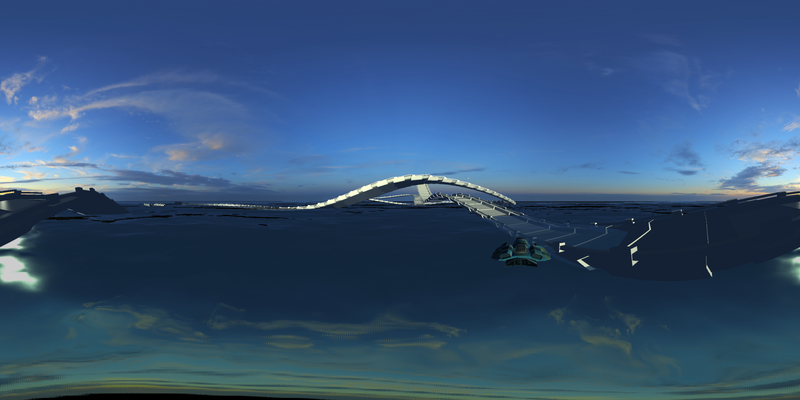 This has now been rewritten with a new faster method based on cubemaps. The orignal post has been kept for posterity. I am working on a page to show off my A-Frame scenes and I want to give the users an immersive preview without loading up the whole scene. 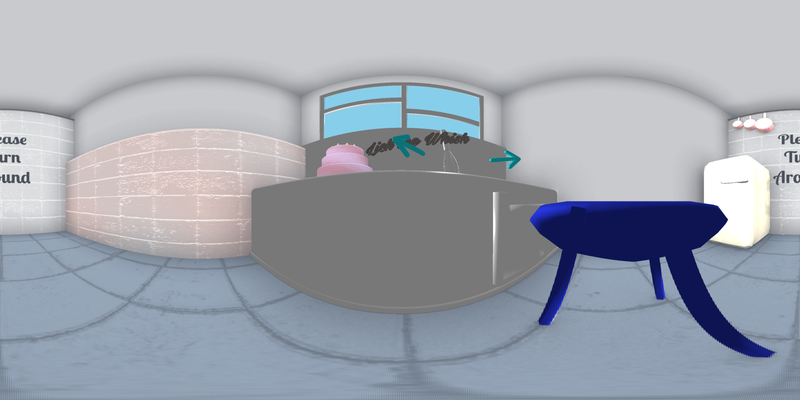 I can do this by loading up a spherical image into an <a-sky> or perhaps set it as then environment in the Samsung VR Browser as detailed here. But producing these images usually requires special render rigs in Maya or Blender so are hard to reproduce the exact look from the web. This script when run on a web page with a A-Frame scene will render out the scene at many (64800) different angles stitch them together into a single image. It’s a bit brute force but it works pretty well. I couldn’t find a way to render a full 360 degree view of a scene in one go so I decided to make my own. This is probably not the optimal way to do it. 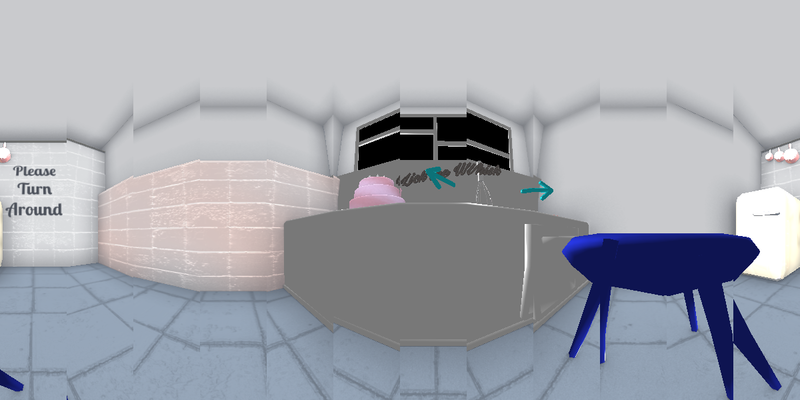 This method rotates the camera by a small degree and takes a tiny render. It renders many vertical stripes then it then stitches them all together in giant canvas and opens the resulting image in a new tab for saving. It takes a couple of minutes on my netbook but gives a pretty good result. The bookmarklet will render from the scene’s current camera’s position by default. Once it is done it will open the result in a new window. It will render 360x180 10x10 squares this can be tweaked to increase to decrease quality, this very low quality example gives a good idea of how the bookmarklet works. It is a brute force method so can take a while to run. It tends to breakdown at the top and bottom of the scene where the greatest stretch happens. If you have a better/faster method please comment!! !